Say ‘Loyola YOLO’ five times fast. That is why the New Orleans university is officially pissed that someone stole those letters from its lawn sign. 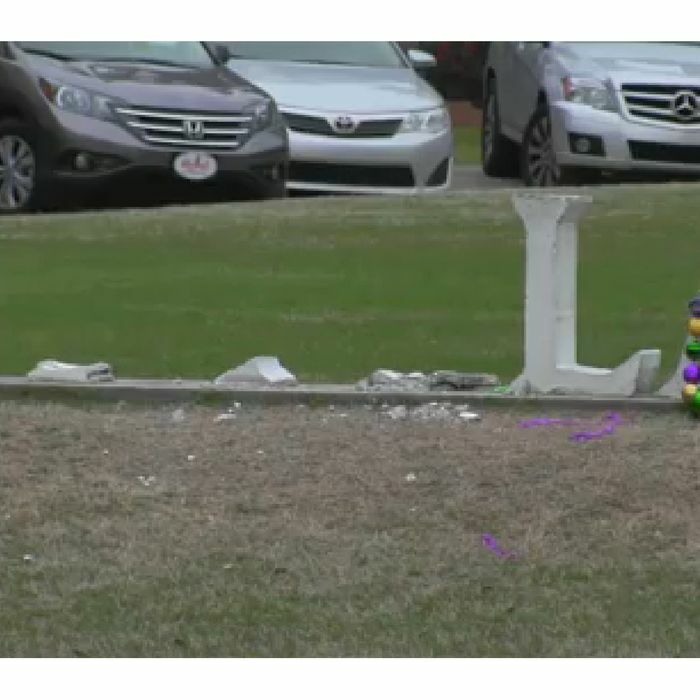 School officials told WDSU that the university was a “victim of Mardi Gras,”and a spokeswoman told the Times-Picayune that even though people messing around with the letters is nothing new, “it’s vandalism and someone has broken the law and destroyed our sign.” No word yet on where those missing letters got off to, but here’s hoping they make a very public appearance soon.